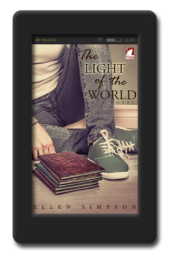 Orphaned Carmen is sixteen, newly homeless and will do almost anything to survive and keep her and her kid brother safe, together, and out of foster care. Ollie, also sixteen, has a life that’s all about parents, school pressure, friends and dreams of summer. The two fall into each other’s orbit, and one kiss changes everything. Ollie is captivated … but then Carmen vanishes. When they cross paths months later, everything is different. This was my second book from G Benson and it’s a fantastic one, it captivated me from the beginning. 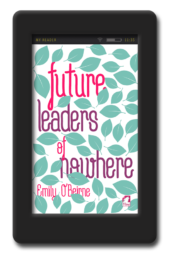 It isn’t just another young adult novel, it’s one for everybody. The main story is about the two sixteen year old girls, Carmen and Olli and Carmen’s brother Mattie. They face very different life circumstances, but when they meet at school, there was a connection from the beginning. Also the third characters, like their friends or Olli’s parents are well developed and integrated in the story. 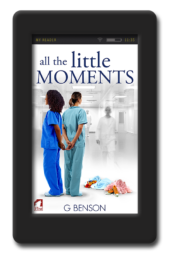 Benson describes the situations their living in, in every detail and the reader get a good feeling of the struggles, fears, wishes and dreams of the two girls. There are some very hard and violent situations to survive. I can’t even imagen, how it is as a foster kid, or living on the street, but Benson shed some light on these topics, and some of this stuff is hard to swallow. But there are also friendship, loyalty and love. She also mixes different themes like sexuality, gender, race and foster homes in a really great way. I highly recommend this book to everybody. It’s one I will reread. I give 5 stars. And I’m looking forward to another one from G Benson. Sorry for my bad English, my native language is Swiss German. What to say about this book eludes me if I am honest. It is so powerful, raw and emotional. We all have some kind of foster system and we all hope it is good and does good. But does it?? Do we let these kids down? You can not read this book and not feel anything. My heart broke for the kids in the so called system and not just Carmen and Mattie. It is so well written that you can not just see it but you can feel it. It is not an easy book to read. On one hand I did not want to put it down, Yet on the other I needed to put it down to take a breathe and think about what I had just read. I’ve read Benson before and absolutely loved All The Little Moments. But this book is on a different level. Although it’s a good for now ending I can’t help wishing the author gave it a more positive future. Or maybe she is looking to do a follow up, who knows?! I think what gripped me the most about this book is the author never gave you a break. She never lost focus. As hard as it was to read I bet it was harder to write. It is an emotional roller coaster from beginning to end. I would recommend this book without a doubt. But be aware it is a tough read. 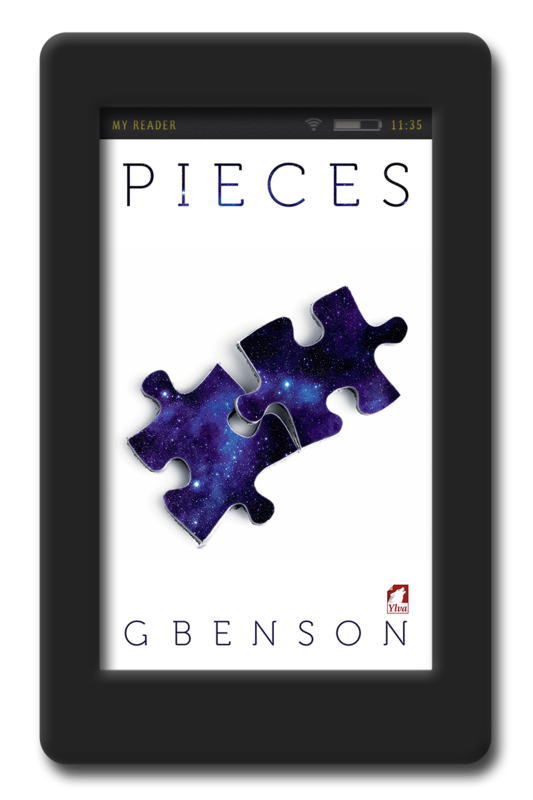 ‘Pieces’ is an emotionally deep story, dealing with very difficult subject matter. At one point I found the issues upsetting and hard to read but the characters really got to me and I had to find out how their story ended. Carmen has been looking after her brother Mattie since he was a baby, as their mother was a neglectful junkie/alcoholic. The teenager showed such strength and determination and her desire to keep them together was astounding. After meeting Ollie at school she has something of her own, something beautiful. She has a very difficult journey ahead but so many good people want to help. There is so much about this book that I want to recommend, I’d be here all day extolling it’s virtues. A well deserved 5 stars! I was given this ARC by Ylva Publishing in return for an honest review. I don’t usually read lesfic where there are youth characters. Not because I think they are not interesting or worth it but because I prefer reading closer to my age. But I had read good reviews about this book and wanted to give it a try. And I’m glad I did. Carmen´s story is heartbreaking and more so because I know for a fact that these things are happening everywhere to young and not so young people. I cried with her when she had to leave her house, when she had to leave her brother and when she finally got all the pieces together. These last tears of happiness though. And even through hard and difficult times she found happiness and peace with Ollie. Ollie, who is struggling with her own issues but who also finds everything she needs with Carmen. Carmen is a heroine. Despite her age, she does everything she can to survive and to stand for her little brother. 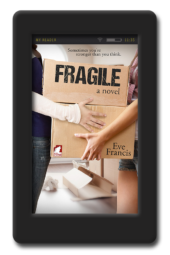 But even a heroine needs help from time to time and she finds it in all her friends, her girlfriend Ollie and Ollie’s father. All characters beautifully described. Most of them have gone through difficult times but live their lives the best they can but they all have a good heart and like it should be in real life, people with good hearts should have happy lives. I can say I enjoyed this book very much and am really sorry that I didn’t read it earlier because it is well worth the experience and the feelings it wakes in you.